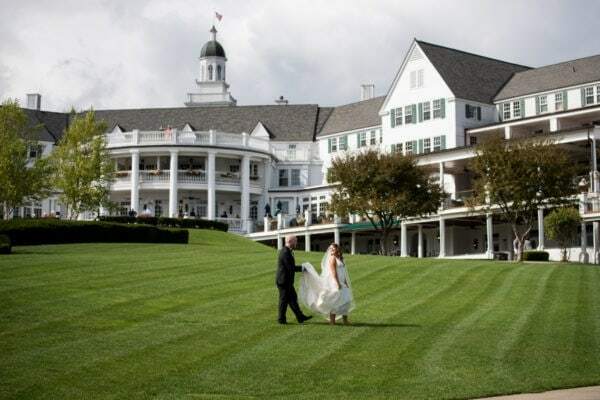 One of the most stunning venues near Lake George, the Sagamore has so many amenities for couples. Not only is the Sagamore a beautiful resort that is a must see for family vacations, it is also an elegant setting for weddings. The Sagamore has an on-sight salon which is perfect for you and your bridesmaids to get ready in. There are a few locations to do the ceremony outside, all with stunning views of Lake George. This venue is a must see for couples who are looking for a wedding with a view! Home Lake George Weddings Archive by Category "Sagamore Resort Wedding"